A well-chosen area rug will bring beauty, style, and grace to a home. If you have hardwood, tile, or other kinds of hard surfaces as flooring, you will also appreciate an area rug for the additional comfort it provides. Choosing an area rug is not only a décor statement but also an easy way to bring warmth and luxury to an otherwise cold space. Choosing the best area rug for your home can be a difficult decision. However, once you understand the basics, you will have a good starting point. When choosing a rug for any room in the home, it is essential to buy the proper size. Before buying, measure the room where the rug will be placed. Typically, rugs sized 8’x11’ and larger are meant for spacious oversized rooms. On the other hand, smaller rugs like scatter rugs and runners can be used in smaller or long spaces. There are many different types of area rug styles, including Persian, Oriental, contemporary and bespoke. When choosing your new rug, you should first think about how various styles of rug would fit with their existing home décor. It would be disappointing to purchase an expensive item only to realise later it does not fit into the décor of the home. Your choice when it comes to style will also be dependent if you want to splash out, or if you are looking for a bargain. Typically, handmade rugs like these on the Persian and Modern Rugs site are more expensive than machine-made rugs and have one-of-a-kind designs. Machine manufactured rugs are cheaper and precisely made. 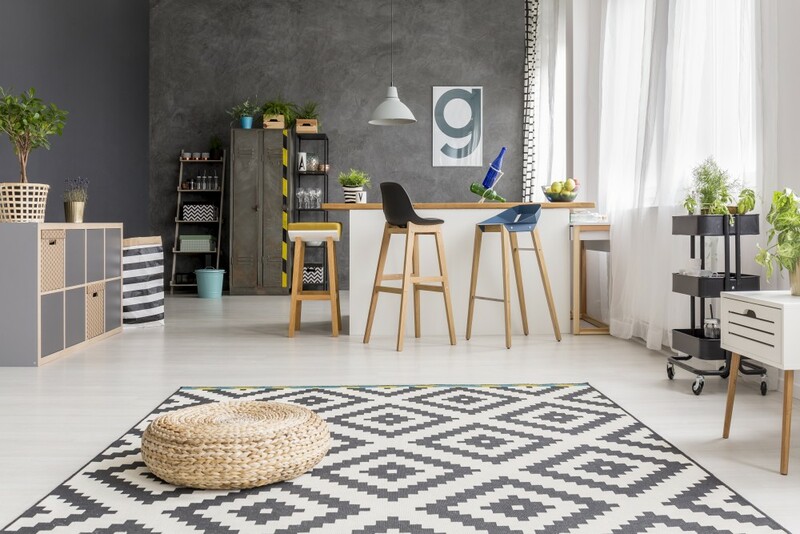 Those with modern or eclectic décor may want to consider purchasing a contemporary styled rug. Western style rugs tend to go well with rustic, casual or modern home décor. Oriental rugs are typically made from wool or silk, and look beautiful in any room. Buying an area rug underlay or pad is the last thing that most consumers consider when purchasing a new rug. However, buying an underlay will help to extend the life of your purchase. Pads keep the rug in place and make it easier to vacuum. Rug underlays and pads also protect wood flooring from spills, scratches, and rug dyes. Buying a large area rug can be expensive, but proper care will extend its lifespan. Adequate care of the rug will depend on the type of rug you choose. However, most area rugs should be properly vacuumed regularly, and where possible, vacuum both sides. This stops dirt from becoming too deeply embedded. Shampooing your rug once or twice a year is also a good maintenance move. Preferably, get this done professionally. Rugs should also be rotated every 6-12 months to prevent uneven wear and tear. Not only does this prevent footpaths from forming, it also stops the parts of the rug that are exposed to sunlight from fading faster than the rest of the rug. You should also periodically check the back of the rug to make sure there is no damage caused by moths or carpet beetles.